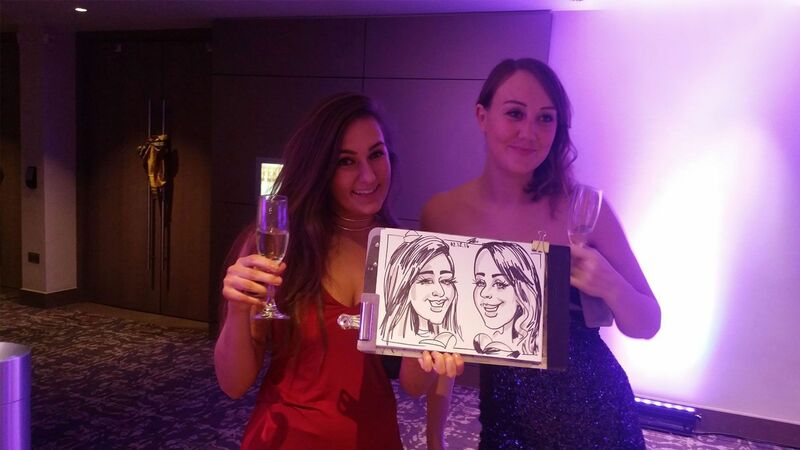 Caricaturist entertainment on your event. 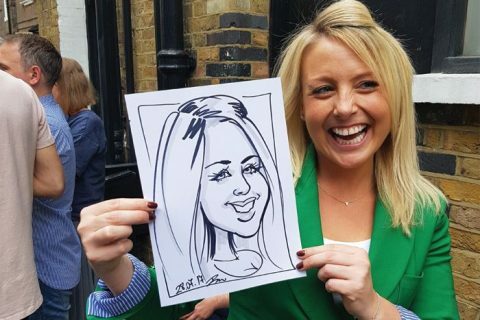 Are you looking for a caricaturist? 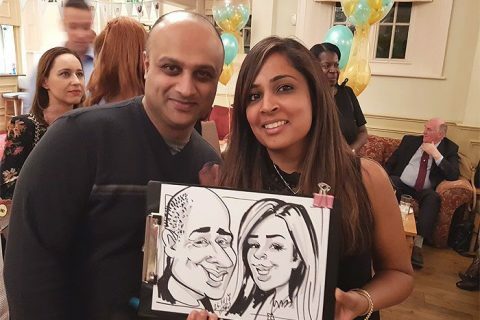 Superb caricature entertainment provided by Ivo the Caricaturist at weddings, parties and corporate events. 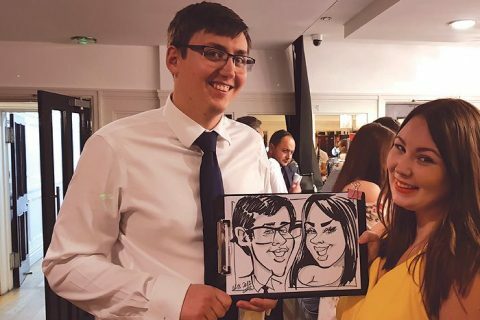 He will create a cheerful and hilarious atmosphere to consolidate the crowd and entertain your guests with funny but complimentary caricatures especially to women. 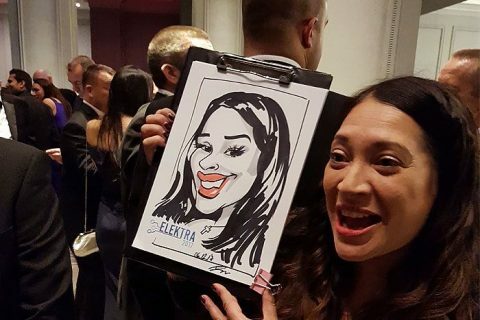 Book a caricature artist to create one of the top entertainment for whatever the event you are planning – Wedding reception, Party, Corporate function, Ball, Proms, Bat/Bar Mitzvah, Ball, Dinner, Exhibition, Promotion, Charity, Anniversary, Conference and many more. 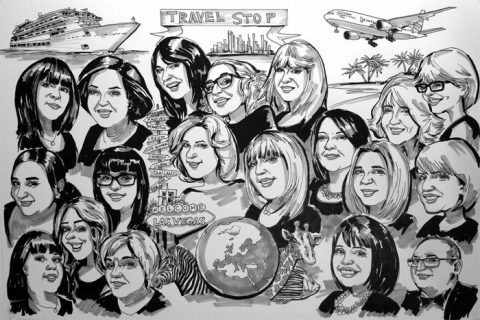 Imagine that you have been on a great holiday to the Caribbean and perhaps you would like to commemorate this experience? 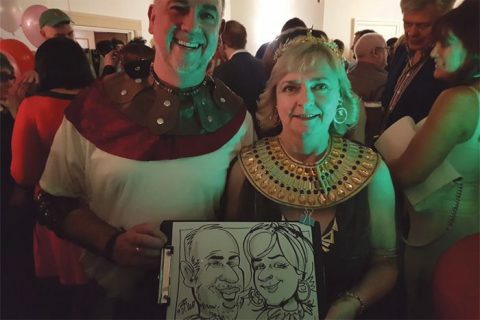 A funny interpretation of what happened could be the most appreciated memory. 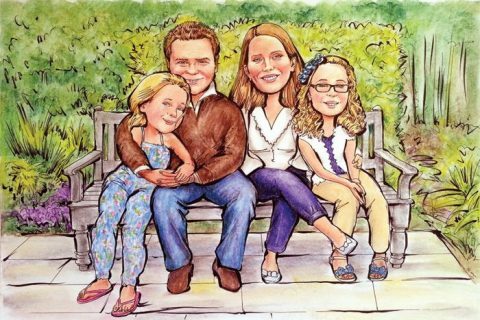 Order a caricature from photos – the perfect personalised gift for any occasion. 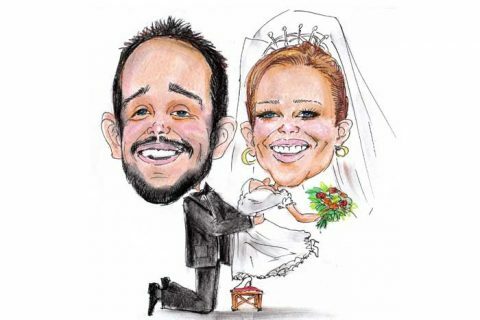 WANT TO SEE MORE CARICATURE IMAGES? 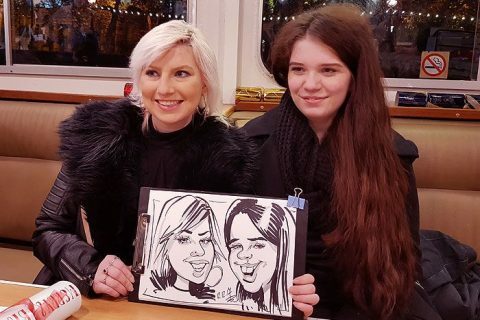 CURIOUS WHAT ELSE I CAN DO? 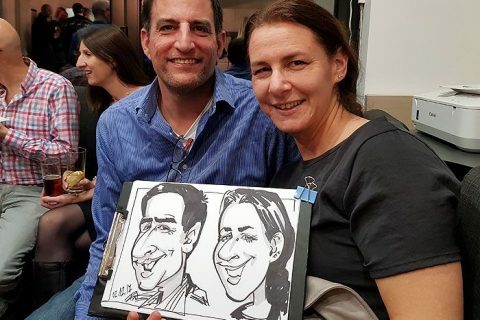 Holding a Master degree (MA) from Academy of fine art as a background, Ivo has been working as a professional caricature artist for more then 15 years in London and UK. 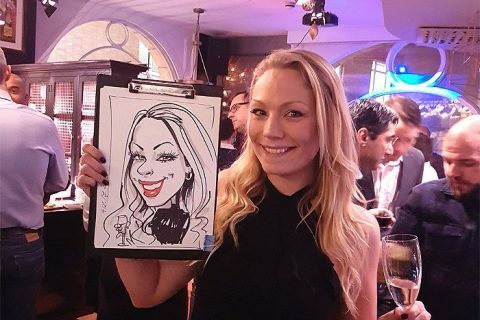 Hire Ivo the Caricaturist who can create a buzz for your event and certainly make it more memorable. 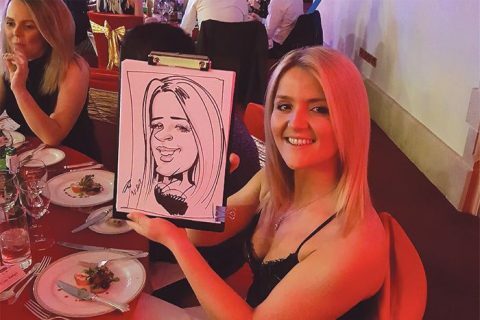 By entertaining your guests and serving as a fantastic ice breaker, all your friends, colleagues and party goers will engage in fun conversation and be able to take home a cherished souvenir. 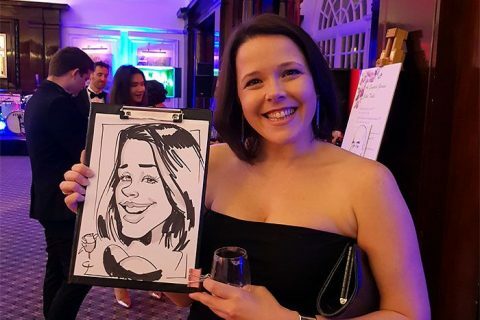 Caricaturists for Hire are hugely popular at corporate events, trade shows and exhibitions, birthday parties and weddings, and many other special occasions and gatherings. 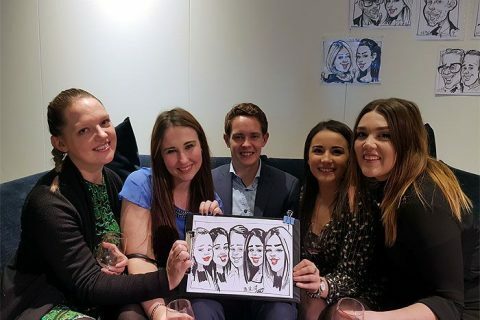 As a highly talented and fast with the knack of capturing the true resemblance of every guest with just a few simple strokes of the marker pen. 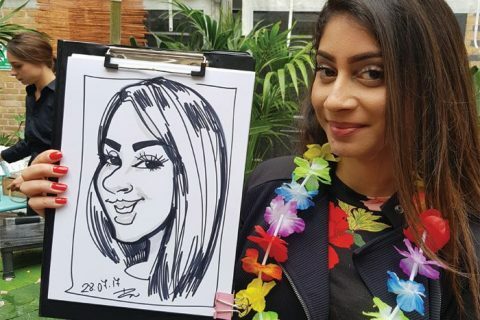 Caricature entertainment is very different to other forms of art as it requires an advanced level of art skills involving shape and pattern recognition which when successfully executed makes caricature unique and special. 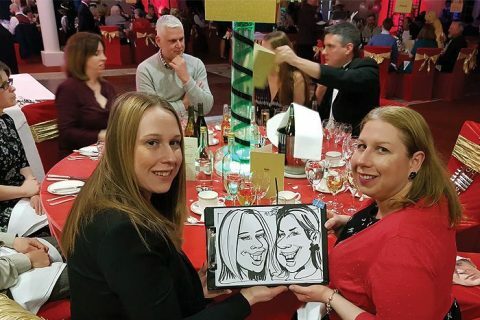 Caricaturists for Hire take your events to a whole new level by injecting intelligence and humour in between proceedings, especially during the photography sessions at wedding receptions. 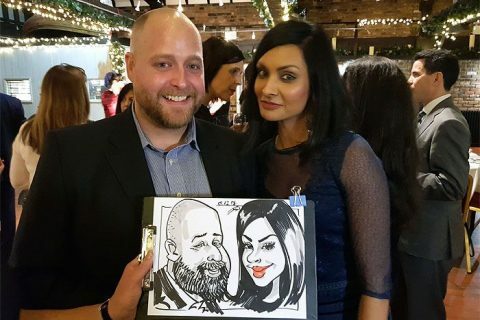 Having a Caricature artist for Hire at your wedding or corporate event is an exciting choice and the reactions of the guests are priceless. 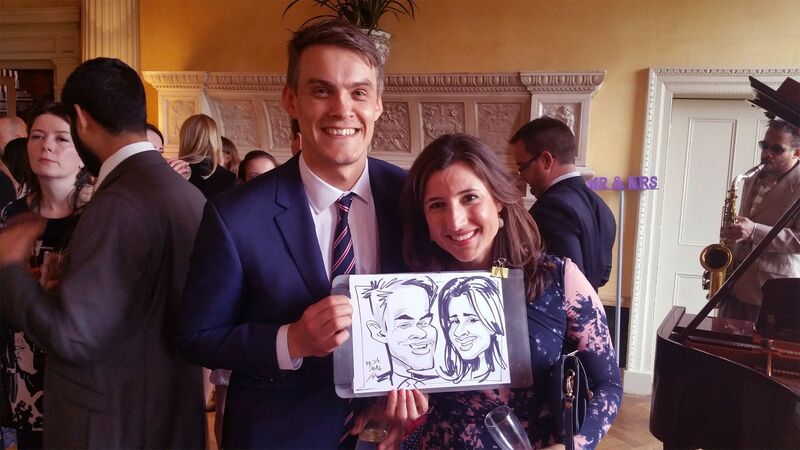 Any host organising an event hopes their guests will enjoy themselves and aim to offer something a little different. 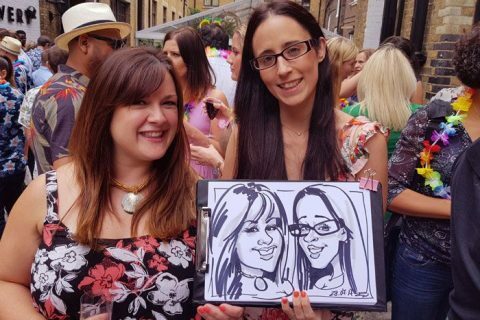 Consult the Caricature artist who have the expertise to take just a few short minutes and great artist talent to capture drawings which combine beauty and humour which serve to energise your crowd and highly entertain them. 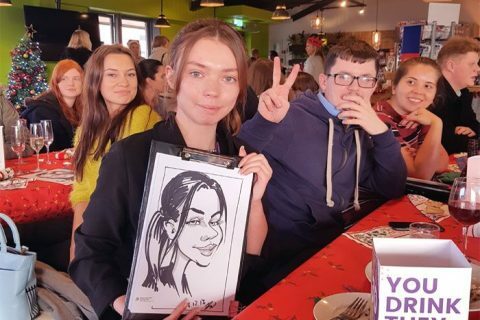 ...or maybe you would like to contact? Ivo was fantastic! 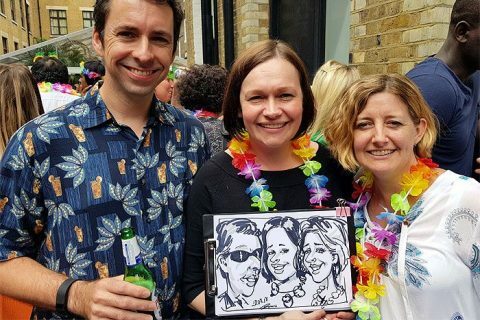 Prompt and an excellent caricaturist with a really good sense of humour and made the people being drawn very relaxed. Would definitely recommend him to others. Ivo was absolutely fantastic! 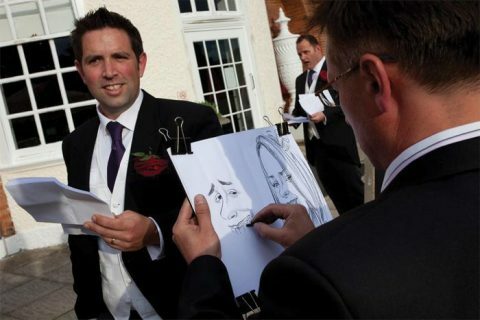 Brilliant caricatures, everyone loved him and was so impressed by his drawing skill. Would definitely recommend him. 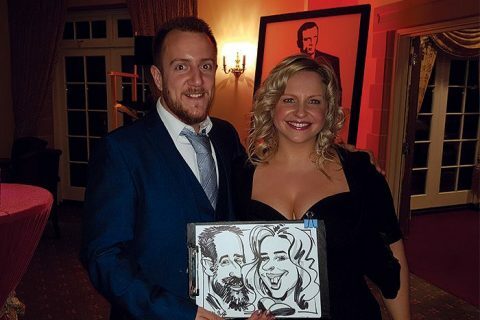 Fantastic addition to our event, had a huge queue all evening for his photos, also printed the awards logo on his paper which was just the cherry on top! 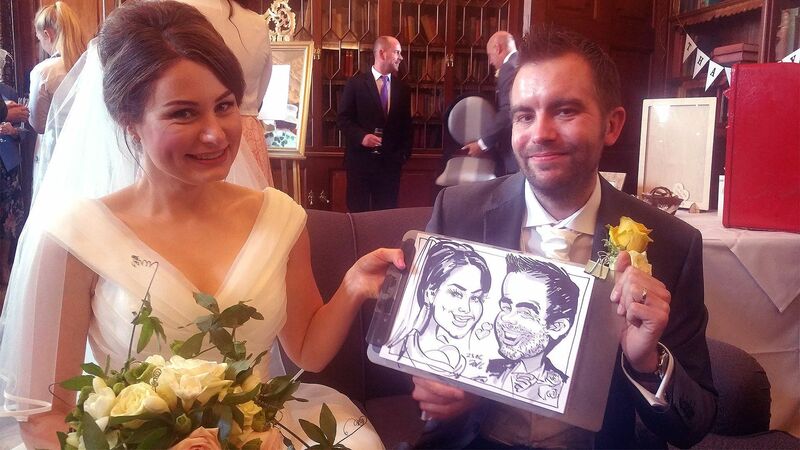 Ivo is a brilliant caricaturist, I was very pleased with the outcome of peoples pictures – and mine! I would hire him again 100%. Ivo was fantastic! 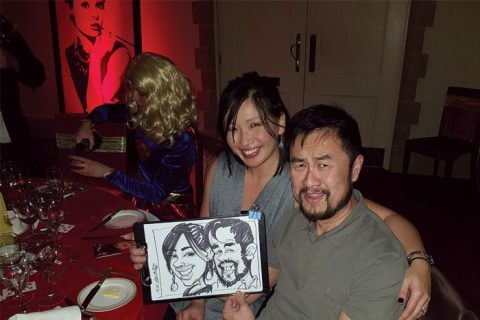 I had so many guests come to me to say how amazing their caricatures were. 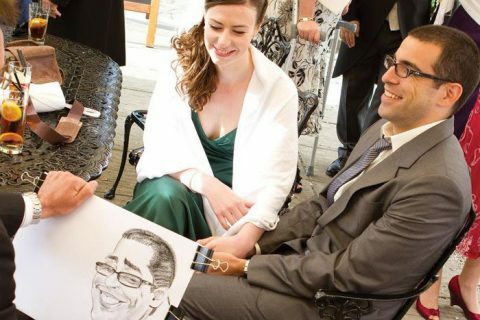 He definitely had a big part in making our wedding so fantastic. I would recommend him 100% Thank you Ivo! 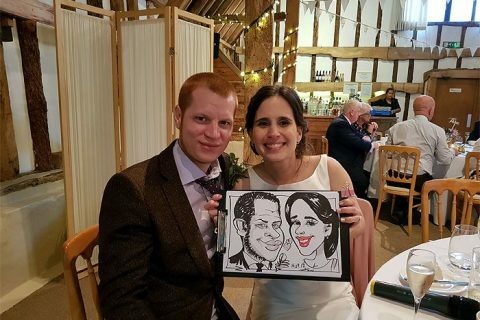 Mike and I would like to pass on our compliments and thanks to yourself for the splendid drawings you produced at our wedding last Thursday. 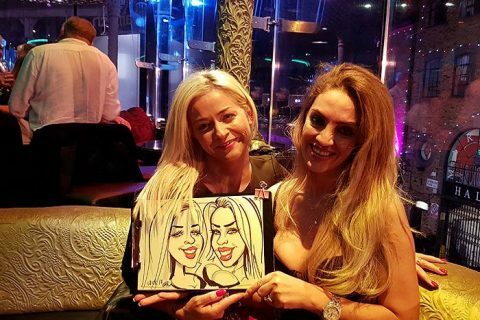 Our guests were amazed, delighted and greatly amused by their pictures and were thrilled to have them as a memento from the day. Ivo is a darling. 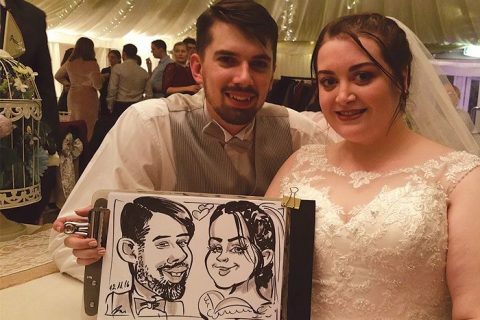 Very talented and professional, arrived on time and worked the room with ease. 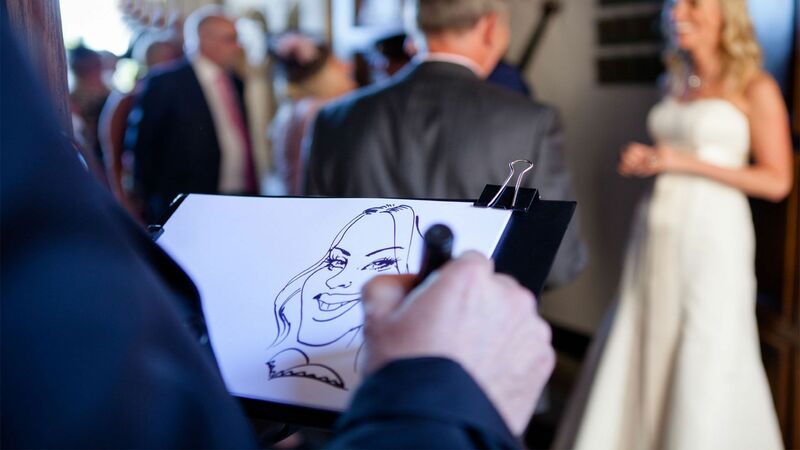 His caricatures are little masterpieces impressing the guests with his fabulous creations. 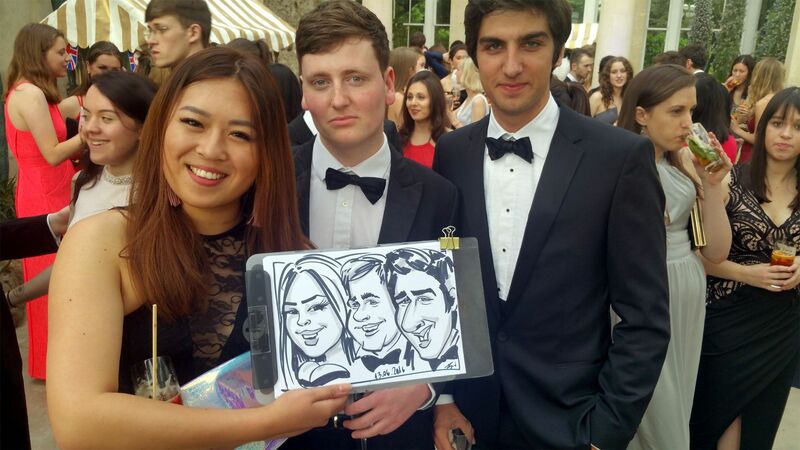 Everyone was very pleased with their caricatures. Bravo Ivo, see you at next years event. 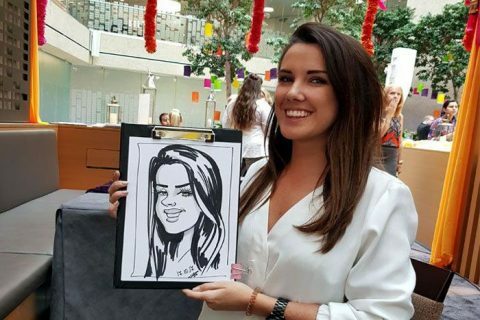 ICTS UK Limited, Airspace, Classico Productions, New Star Asset Management, Barking College and many more. 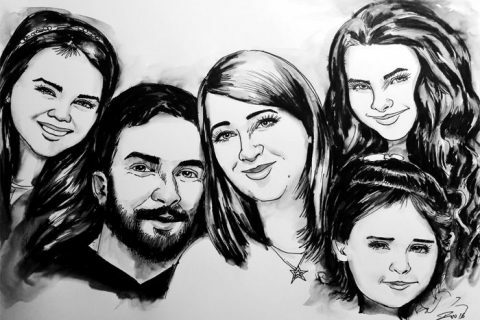 A Singular Creation (ASC) is a free online art community that promotes and showcases all types of art and artists. 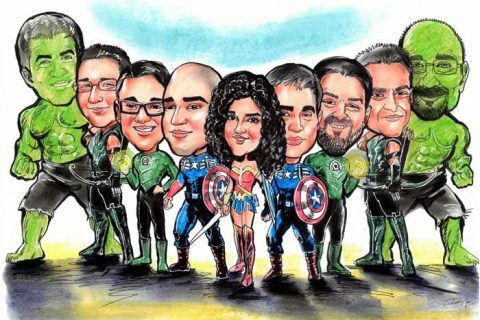 Linkalizer - Marketing on the internet.